Staten Island movie theaters, which is the best? STATEN ISLAND, N.Y. - It's a Friday night, and you want to go to the movies. Each of Staten Island's three theaters has its own distinct atmosphere. Starting with the Atrium Stadium Cinemas, located on 680 Arthur Kill Road, a general admission ticket costs $9. This Eltingville theater is relatively small, giving it an old-fashioned, cozy feeling. Popcorn prices range from $5 for a small, $6 for a medium, and $6.50 for a large. RPX tickets will cost you $15.50 for adults, children, and seniors. The Mariners Harbor theater is spacious, giving you many options for showtimes. For a 3-D showing, tickets are $14.50. Tickets at this location cost $6 for general admission and $8.50 after dark. Although relatively small, this hidden treasure will surely add up savings for the family or a first date. Don't like any of them? 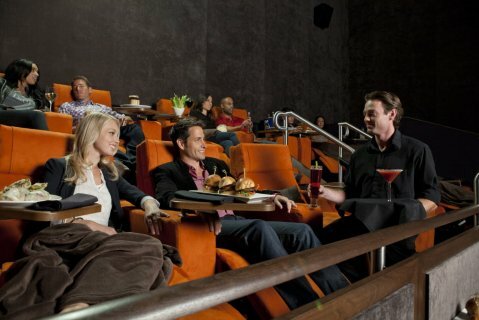 Not to worry, cross the Outerbridge and there is a dine-in movie theater in Menlo Park.